Former Republican Vice Presidential candidate and Alaskan Gov. 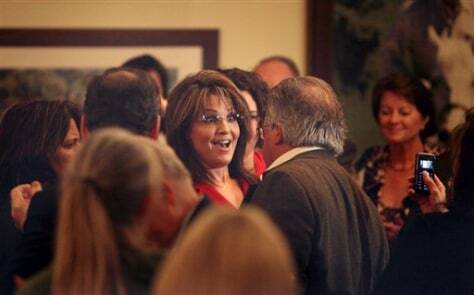 Sarah Palin greets guests after speaking at the Reagan Ranch Center in Santa Barbara, on Friday. Palin was the headline speaker for the Ronald Reagan Centennial celebration opening reception hosted by the Young Americans Foundation.